If you’re getting ready to start your membership site, I’ve got a few ideas to boost your membership’s value. And hey, when you do get started, you’re going to do it with Ron and Alice’s help, right? Tomorrow is the last day to register for their live coaching and even have them set up your membership site for you. Here’s the link to book your spot – spaces are limited. Anyway, when it comes to your membership, think outside the box a little and focus on offering true VALUE to your members. Think of how you can make their lives easier and deliver that. 1. Glossary – This could be a list of terms, as well as a list of resources for the members to understand better the terms used in the content, information products, videos, and forum. Let them know up front everything that you can. 2. Message Board or Group – The most popular membership websites have a message board or group for members to speak to each other as well as to the leaders and coaches who are running the membership site. It builds community, and some people will stay long past using the other resources just for the message board if it’s active. 3. Permanent and Temporary Content – Include both permanent and temporary content to flow continuously through the membership site. Some content should be around all the time and some should drip-based where the person is in the membership or offered on a calendar basis. This will keep people at your membership and wondering what’s coming up next. 4. 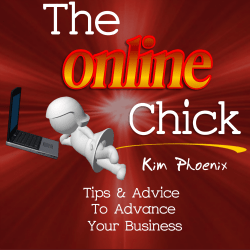 Checklists – People love having checklists that they can follow along with to get things done. You can include checklists about how to use the membership as well as checklists about how to do something your niche wants to do. There are so many options for you to fill your membership with useful things for your audience. 5. You – The most important resource to include in your membership site is you. Be directly involved with the community, creating content and as a cheerleader for your members. That’s why they are joining, after all. Of course, Ron and Alice have a ton more ideas for you and they’re going to walk you through each step of the process for creating, launching, and continuing to grow your profitable membership site. And seriously, if you don’t want to get bogged down in any of the software or technology involved, they’ll take care of it for you. They’re making this as SIMPLE as possible. Registration Deadline ends May 3/2016.